MONDAY, Oct. 24, 2016 (HealthDay News) -- Calcium supplements, taken within recommended levels, can be considered safe for the heart, according to new guidelines. But a new research review, commissioned by the National Osteoporosis Foundation (NOF), has come to a different conclusion. On balance, the review found, the evidence doesn't support a connection between calcium supplements and heart disease or stroke. 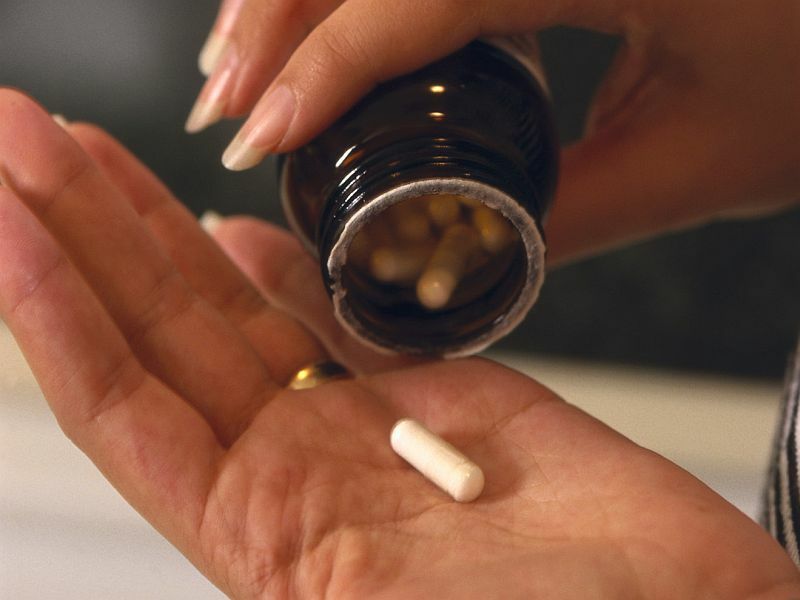 As long as people don't go overboard, calcium supplements should be considered "safe from a cardiovascular standpoint," say the guidelines from the NOF and the American Society for Preventive Cardiology. Getting calcium from foods such as milk, yogurt and tofu is still preferred, the groups say. Supplements can be used to "fill any gaps" in a person's diet, said Taylor Wallace, one of the authors of the guidelines. Wallace is an affiliate professor of nutrition at George Mason University in Fairfax, Va. The guidelines and the evidence review are being published online Oct. 24 in the Annals of Internal Medicine. The NOF funded the review through a grant from Pfizer Consumer Healthcare, which makes calcium supplements. Wallace said he thinks the research review "puts the nail in the coffin" when it comes to the calcium/heart disease issue. The review confirms that calcium-rich foods are safe for heart health, according to Dr. Erin Michos. She's the associate director of preventive cardiology at Johns Hopkins University School of Medicine in Baltimore. But, Michos said, the review didn't include all of the "potentially relevant" studies that have examined calcium supplements. As an example, she pointed to a 2012 study that found a higher heart attack risk among people who used calcium supplements. This study was excluded from the new review because it didn't have information on the doses people took. In her own study published this month, Michos found that supplement users were about one-quarter more likely than nonusers to develop calcium buildup in their heart arteries over 10 years. Beyond that, she said, there are other reasons to view calcium supplements with caution. "They are known to cause bloating, constipation and kidney stones," Michos said. What's more, she added, the evidence that calcium supplements prevent bone fractures is actually "not very clear." Wallace acknowledged that some individual studies have linked high calcium intake to a small increase in the risk of heart disease or stroke. He said there could have been other explanations for the slightly higher heart risk among calcium supplement users -- such as differences in their overall diet and lifestyle. To develop the new guidelines, the NOF commissioned an updated research review, done by independent researchers at Tufts University School of Medicine in Boston. The rest of the studies the Tufts team analyzed were observational: They looked at the relationship between people's calcium intake, from diet or supplements, and their risk of heart disease or stroke. Again, the researchers found the studies showed no consistent connection between higher calcium intake and higher cardiovascular risks. In general, younger adults should get 1,000 milligrams of calcium a day, according to the Institute of Medicine, an expert panel that advises the U.S. government. That recommendation goes up to 1,200 mg per day for women older than 50 and men older than 70 -- given their higher odds of the bone-thinning disease osteoporosis, according to the IOM. One thing everyone seems to agree on is that calcium from food is best. If you can get the recommended amounts through foods such as milk, cheese, yogurt and calcium-fortified juice, "you're golden," Wallace said. Michos said her advice is to opt for calcium-rich foods, and turn to supplements only if there's a shortfall in your diet. And even when people do need a calcium boost to their diets, Michos said, a low supplement dose -- 500 mg or less per day -- would be enough. The new guidelines do specify that people should keep their overall calcium intake -- from food and supplements -- below the "tolerable upper level." That's set at 2,000 to 2,500 mg per day, according to the IOM. An editorial published with the guidelines also offered some words of caution. "The preponderance of evidence does not support cardiovascular adverse effects" from calcium supplements, wrote Dr. JoAnn Manson, from Harvard Medical School, and Dr. Karen Margolis, of the HealthPartners Institute in Minneapolis. But the editorial authors agreed that calcium supplements do have side effects. And they urged people to take moderate supplement doses, but only if their diets are deficient in calcium.